At least one officer has been disciplined for ordering the NYPD’s highest-ranking uniformed black officer out of his auto at gunpoint while the three-star chief was off-duty and parked in Queens, the Daily News has learned. Chief Douglas Zeigler, 60, head of the Community Affairs Bureau, was in his NYPD-issued vehicle near a fire hydrant when two plainclothes cops approached on May 2, sources said. One officer walked up on each side of the SUV at 57th Ave. and Xenia St. in Corona about 7 p.m. and told the driver to roll down the heavily tinted windows, sources said. In his briefing to Police Commissioner Raymond Kelly, Zeigler said the two cops, who are white, had no legitimate reason to approach his SUV, ranking sources said. After they ordered him to get out, one officer did not believe the NYPD identification Zeigler gave him. When one officer spotted Zeigler’s service weapon through the rolled-down window, he yelled “Gun!” according to sources who have spoken with the officers. Instead of saying he was an armed member of the NYPD, Zeigler shouted, “Don’t you know who I am?” the sources said. When one cop reached over to check the identification badge around Zeigler’s neck, the chief pushed him away, sources said. Only then did Zeigler tell the two officers his name and rank, those sources said. Zeigler, in his discussions with Kelly, said the officers never yelled “Gun!” sources said. One cop got into a heated argument with the chief even after seeing the ID, sources said. That cop was stripped of his gun and badge and placed on modified duty last night, sources said. The status of the second officer was unclear. The incident occurred as the NYPD is under fire for record numbers of pedestrians being stopped and frisked, the majority of them black or Hispanic. Some 145,098 people were stopped by the NYPD in the first quarter of this year. Zeigler has headed the Community Affairs Bureau since January 2006. 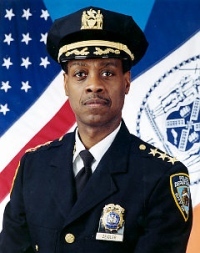 His wife, Neldra Zeigler, is NYPD deputy commissioner for equal employment opportunity. 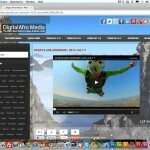 DIGITAL AFRO MEDIA IS LIVE!!! AND IT’S BEYOND AMAZING!! !